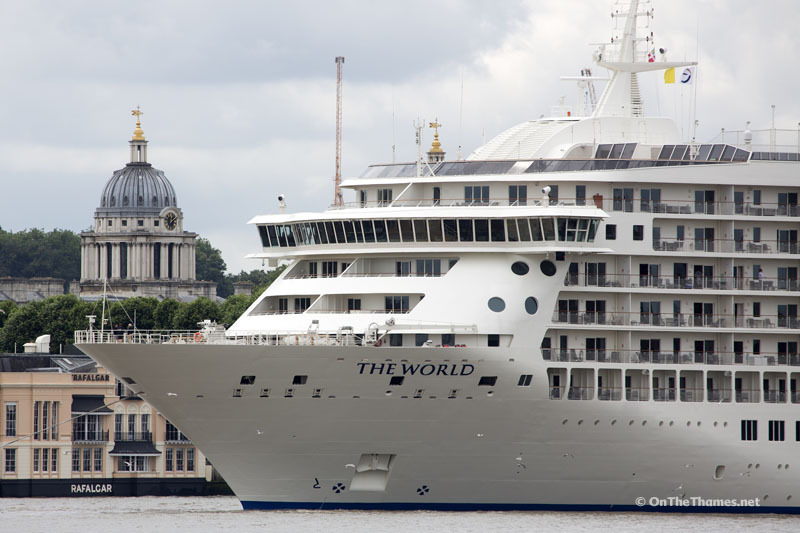 MS THE WORLD sailed up the Thames to moor in Greenwich earlier on today. 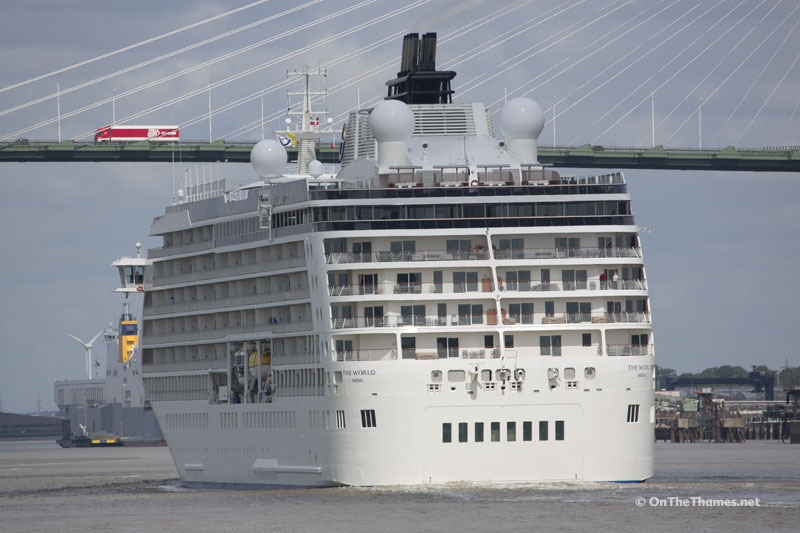 The "residences at sea" ship looks like a cruise liner but actually has 165 privately owned apartments and constantly sails the globe with some of its wealthy passengers on board. 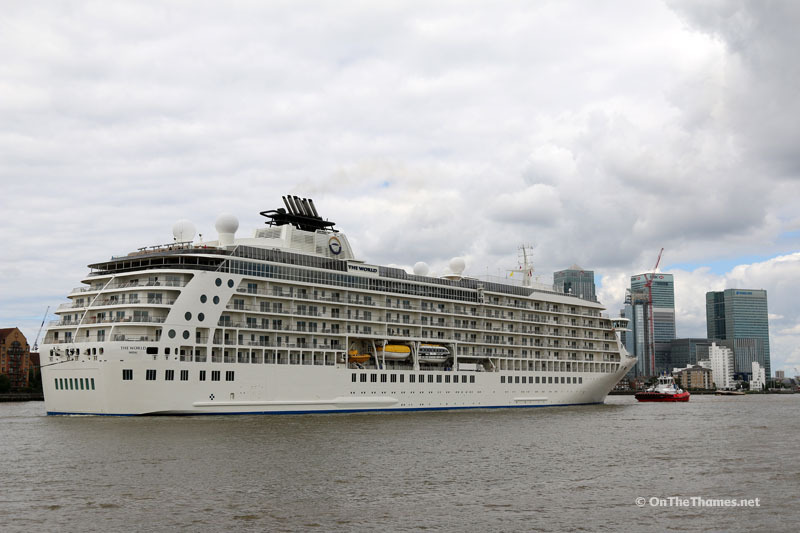 Launched in 2002, The World has made several visits to London, the most recent of which was in 2013. 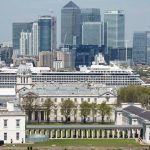 The 196-metre long ship arrived on the Thames earlier today with only a handful people on its balconies and decks to see London's landmarks as she navigated her way up the river, arriving at Greenwich Ship Tier shortly after midday. As well as a six restaurants, some of the facilities of The World include a gourmet deli and grocery store, a boutique and showroom, fitness centre, billiard room, golf simulator and putting greens, a full-sized tennis court, jogging track, a spa, swimming pool, and cocktail lounges. 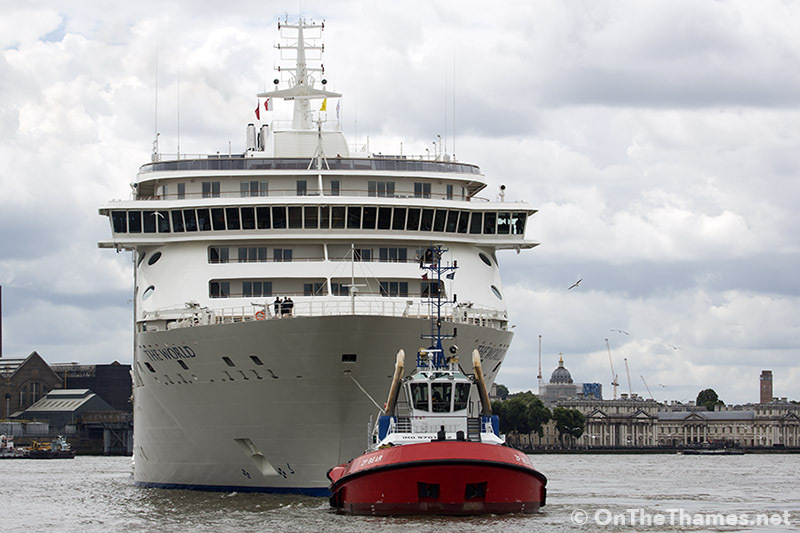 According to Port of London Authority listings, the end of the World's visit comes next Friday morning when she departs London at 4am. After leaving the capital, The World will call at Belle-Île-en-Mer. 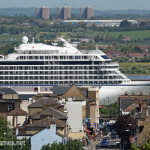 Here comes the World: the ship is seen from Gravesend Prom on her way up the river. 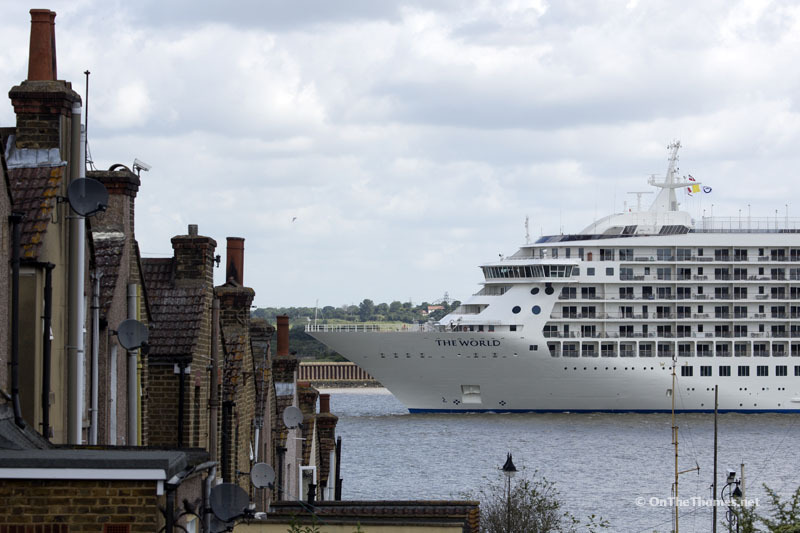 The luxury apartments of The World pass a period terrace in Gravesend. The World goes under the QEII Bridge at Dartford. 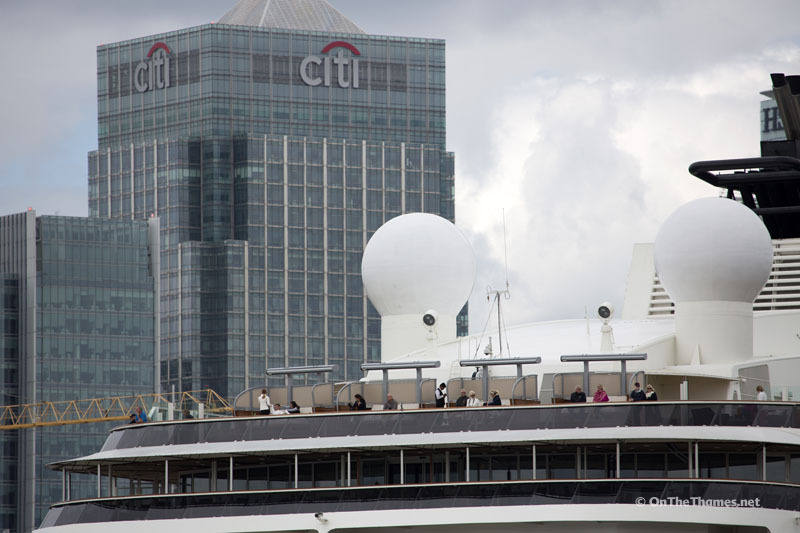 We are the world: a handful of people on the bow of the ship as she passes through London's iconic flood barrier. 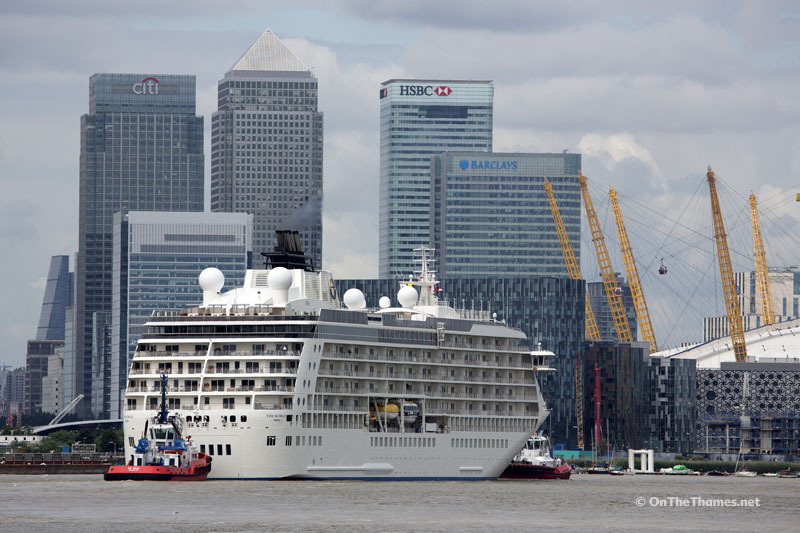 No place like dome: the floating apartment block nears the O2 at North Greenwich. 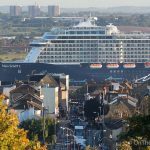 As the World turns: the ship was spun around at Blackwall Point and manoeuvred into Greenwich backwards. 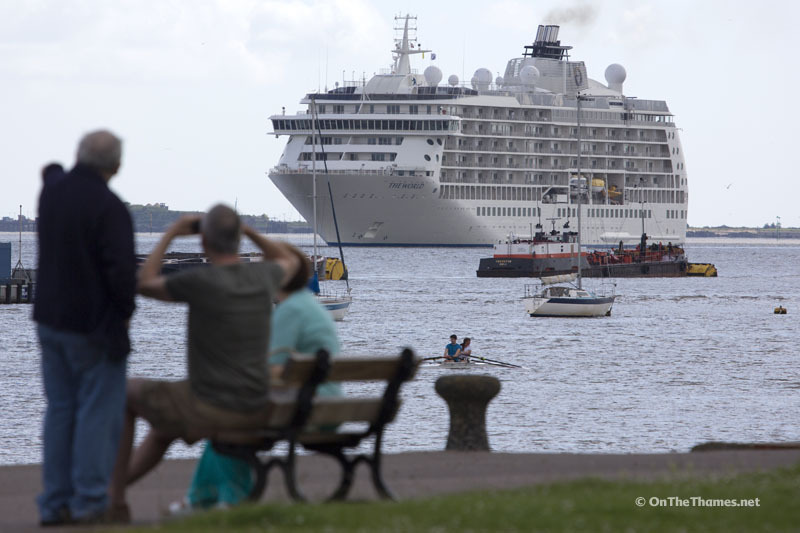 On top of the World: a few passengers watch the ship's journey in to London. Got the World on a string: the tug ZP Bear at the bow of The World. Stop the World! 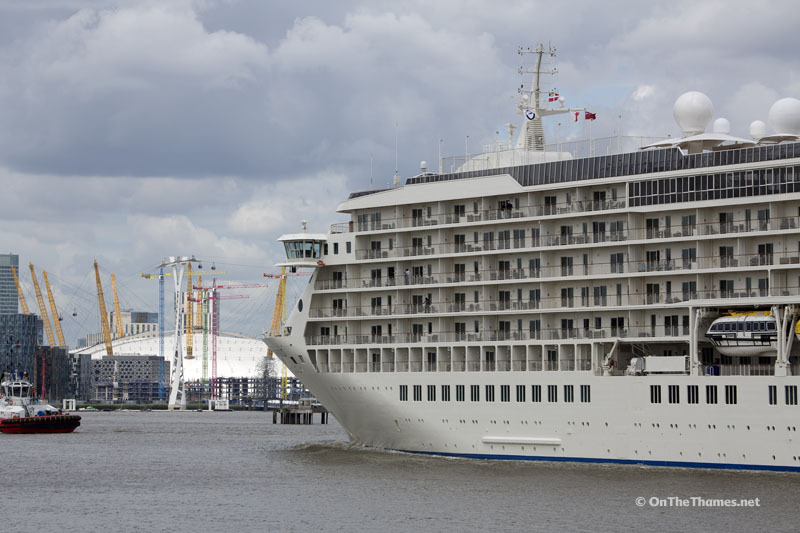 The ship moored up at Greenwich. I like your spelling mistake/freudian slip. 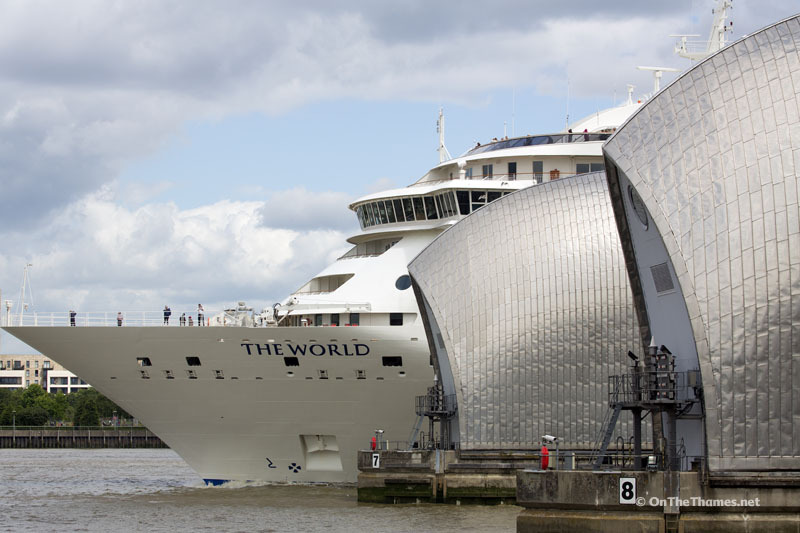 We are the world: a handful of people on the bow of the shOp as she passes through London’s iconic flood barrier. In future all of these vessels should be referred to, for what they are. 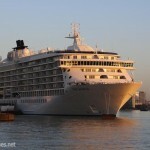 “Shop the World! 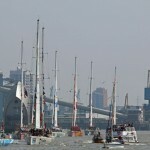 The shop moored up at Greenwich”. Smaller shops can be distinguished by using the adjective corner.